The Richmond Hill family lawyers at Radley Family Law strive to offer superior service to residents of Richmond Hill, Ontario. For instance, our team has unique expertise with uncontested divorce, where there are no disputes about the division of property, debts, or the conservatorship or support of children. This form of affordable and cooperative divorce is one of our team’s specialties. We also have experience with collaborative and mediated divorces, which help both parties keep legal costs low and avoid the stresses of the courtroom. Our substantial expertise also extends to spousal support, child support, child custody and access, and child protection. If you’re in search of a lawyer with expertise in divorce or any other former of family legal dispute, turn to our trusted team of Richmond Hill family lawyers to guide you through this difficult time in your life. We believe in protecting your legal rights against any challenges that might emerge. In Richmond Hill and everywhere else in Ontario, many legal disputes in family law require prompt action – the faster you can resolve this contentious issue, the sooner you’ll be able to move on to your new life. Before you do anything, though, you should consult with an experienced family lawyer and learn your rights! 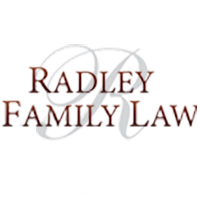 Call Radley Family Law today for a free legal consultation. If you or a loved one is considering legal action against a family member, contact the Richmond Hill divorce and child custody family lawyers at Radley Family Law to set up your free consultation. We serve clients from across the province from our head offices in Vaughan, Ontario. When you are involved in a serious legal dispute between family members, managing the necessary legal actions can seem incredibly daunting. Family disputes are emotionally difficult – considering what you’re going through, legal issues are probably not among your highest priority. However, confronting these issues head on will help you to overcome them and move on to a happier time in your life. If you need advice in areas such as divorce, uncontested divorce and separation; child custody and access; spousal and child support; division of property; restraining orders; and dealing with Ontario’s Family Responsibility Office, contact our qualified and compassionate team today. When you are engaged in a family legal dispute, you need to stand firmly for your rights and be clear about your best interests. An experienced Richmond Hill family lawyer can ensure that you and your loved ones are well represented. Radley Family Law’s experienced and reputable family lawyers will stand by your side. Call us at 905-669-2109 to arrange a free legal consultation or reach us today through our online contact form. Rachel Radley’s team of experienced Richmond Hill family lawyers is prepared to represent you to the best of our abilities. Feel free to visit us at our Vaughan, Ontario head offices to learn how we can help you in your time of need.